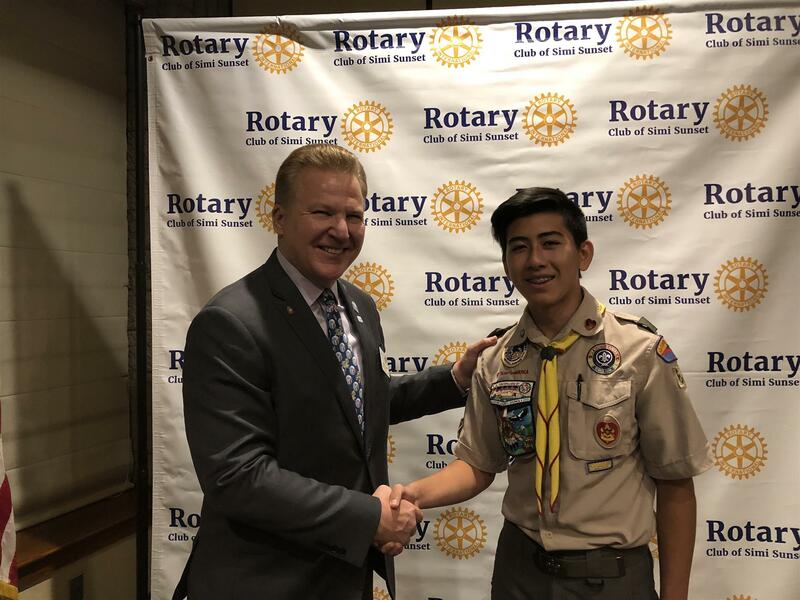 Gabriel Ramirez, a scout member of Troop 698 in Simi Valley presented his Eagle Scout idea to Simi Sunset Rotary tonight. Gabriel's Idea is to build an outdoor classroom at the Elementary School in which he previously attended, Hollow Hills Elementary. Gabriel projects that he will need approximatly $2,400 and a lot of volunteers to complete his project, which should take 1.5 days to complete once the money and man hours have been collected.